A Chinese soldier stands with his family. 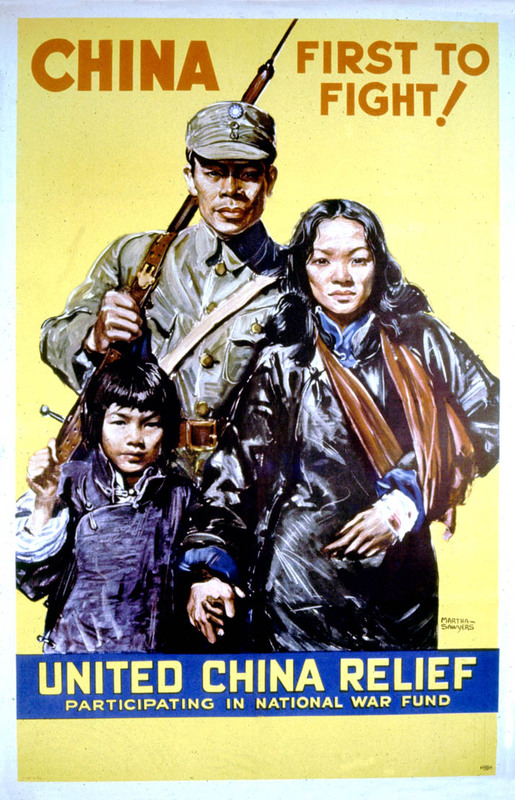 Poster Text: CHINA FIRST TO / FIGHT! / UNITED CHINA RELIEF / PARTICIPATING IN NATIONAL WAR FUND.